This statistic depicts a forecast of the compound annual growth rate (CAGR) of the world's leading 4 food retailers between 2010 to 2015. It is estimated that Tesco's CAGR will come to 7.5 percent in that period. 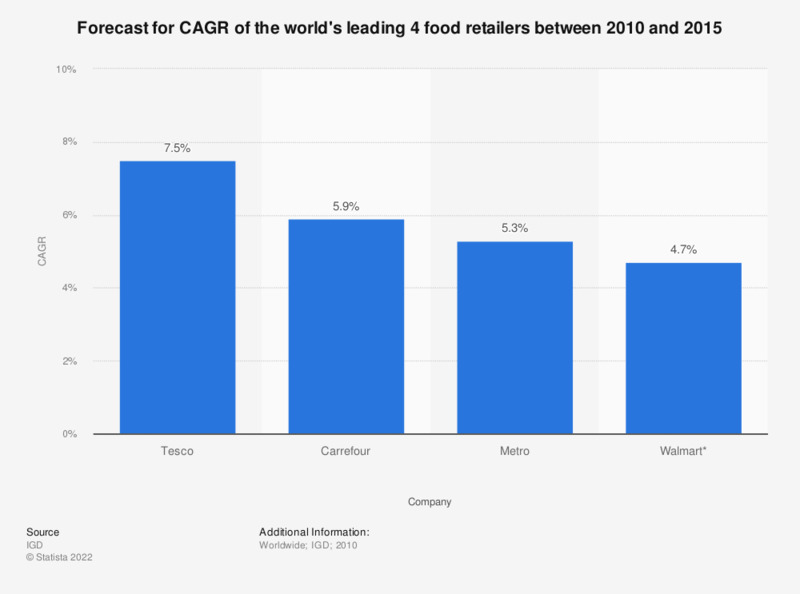 With that CAGR, Tesco is set to be the fastest growing retailer of the global leading 4 food retailers. * Assumes acquisition of Massmart is completed.